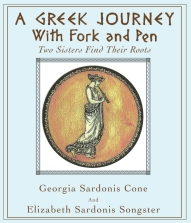 This was the theme of my food demo this year at our “Taste of Greece Festival” at our church, St. Paul’s. You may see it spelled a number of different ways: Filo, Phyllo or Fillo. Regardless of how it is spelled, it is all the same: a delicate, flaky and light pastry. Filo means “leaf” in Greek and that describes the paper-thin quality of the pastry. More and more grocery stores carry filo, but you can always find it in Persian, Greek or Mediterranean markets, most of which exist now in almost every community. Of course, you can make your own BUT it is time intensive and most of us don’t have the time to do that. I think convenience wins in this case!! 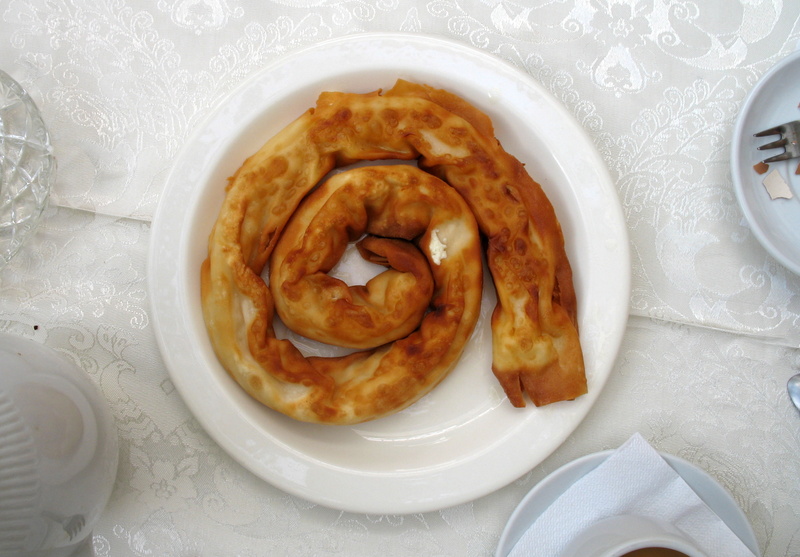 It is so versatile it can be used for appetizers like tiropites (cheese filled triangles or spiral as in photo), dinner or side dishes like spanakopita (spinach pie), and fabulous pastries like the now familiar baklava. There is an infinite variety of international dishes made with filo, which can be substituted for the outer wrapping of any stuffed dish from around the world. You can experiment making eggrolls, empanadas, crepes, and gyozas using filo instead of the dough that is typically used. Fillings can be cheese, vegetables, chicken, fish, meat, or dessert-based ingredients like nuts, custard, chocolate, fruits and honey. The list goes on and on. You are limited only by your imagination! It’s time you try making something with filo. It is very forgiving. If it tears, you can just patch it. If it sticks together, leave it that way and just butter it. Once it has baked, no one will know anything but how delicious it is!